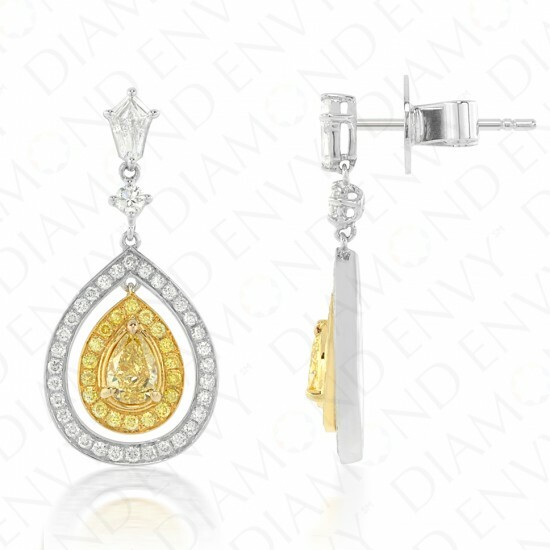 Unmistakably elegant and classy, this pair of 18K two-tone gold earrings features a pair of VS1/VS2 pear shaped natural Fancy Yellow diamonds, 0.61 ct. tw. They are surrounded by floating halos of 36 VS2-SI2 round Fancy to Fancy Intense Yellow diamonds, 0.19 ct. tw. The yellow diamond drops are suspended from within a white diamond-encrusted pear-shaped frame. 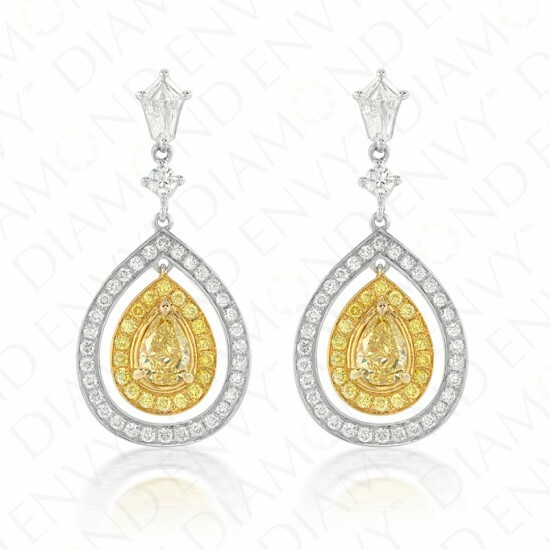 The pear-shaped frame is connected to white round cut and shield-shaped diamonds that form the base. 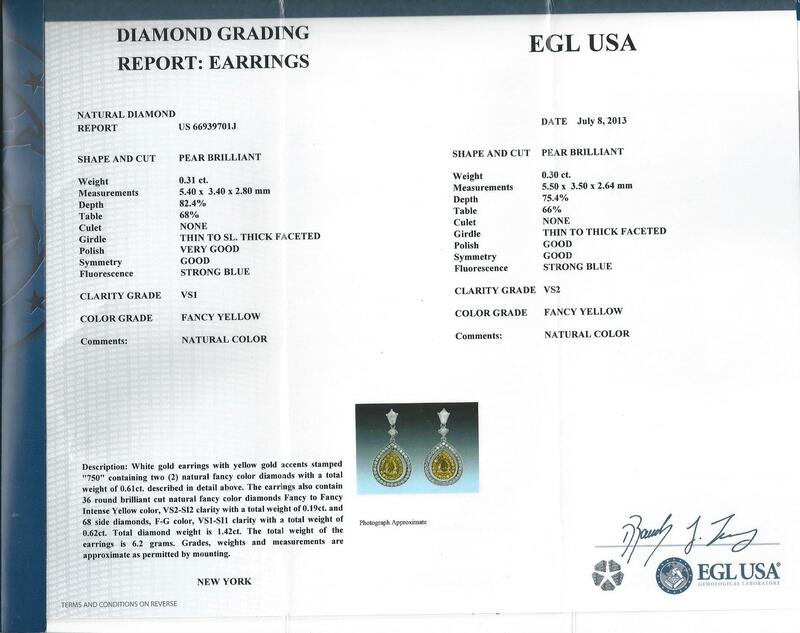 White round diamonds and side diamonds are F-G VS1-SI1 and total 68 pieces, 0.62 ct. tw. These colored diamond earrings are push back style. Gold weight: 6.20 grams. EGL-certified.